Please join PCFR for a talk with John Pomfret to examine the remarkable history of the two-centuries-old relationship between the United States and China, from the Revolutionary War to the present day. John will be signing books, which will be available for purchase during the cocktail hour. John Pomfret is an award-winning journalist and writer who has divided his time between the US, China, Europe, Africa and the Middle East since the 1980s. He was one of the first American students to study in China following the Sino-American rapprochement and he has been a correspondent in China for the Associated Press and The Washington Post, in the late 1980s the late 1990s and the early 2000s. He has won numerous journalism awards for his work in China and in Washington. 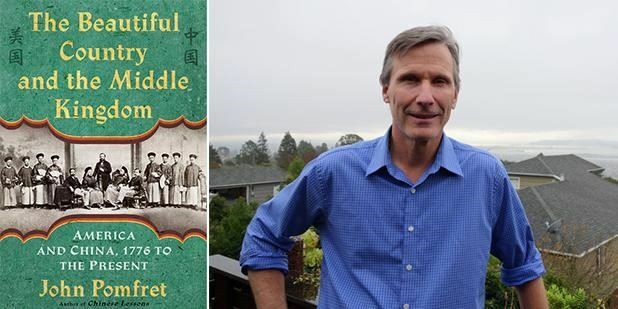 For the past five years, John has devoted himself to the first narrative history of America’s relationship with China from the 18th century until the present day. The Beautiful Country and the Middle Kingdom: America and China, 1776 to the Present was published on Nov. 29, 2016 to critical acclaim. John is the author of the 2006 best-seller, Chinese Lessons: Five Classmates and the Story of the New China.